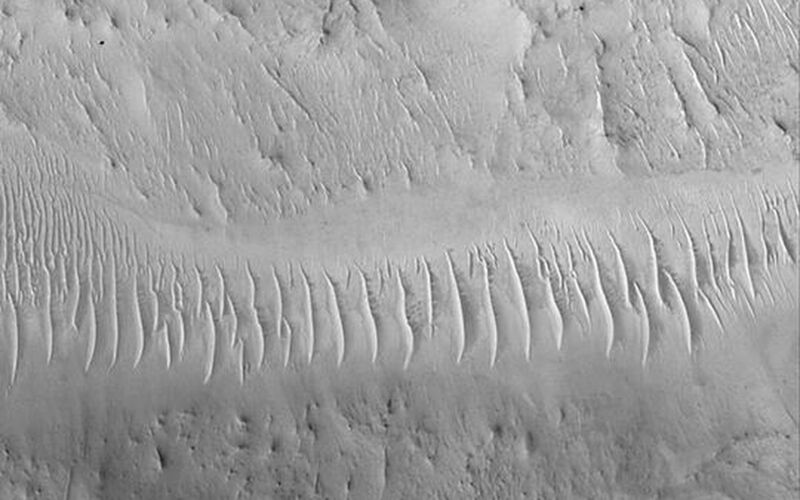 Auqakuh Vallis located in northeastern Arabia Terra, an eroded, cratered highland terrain. 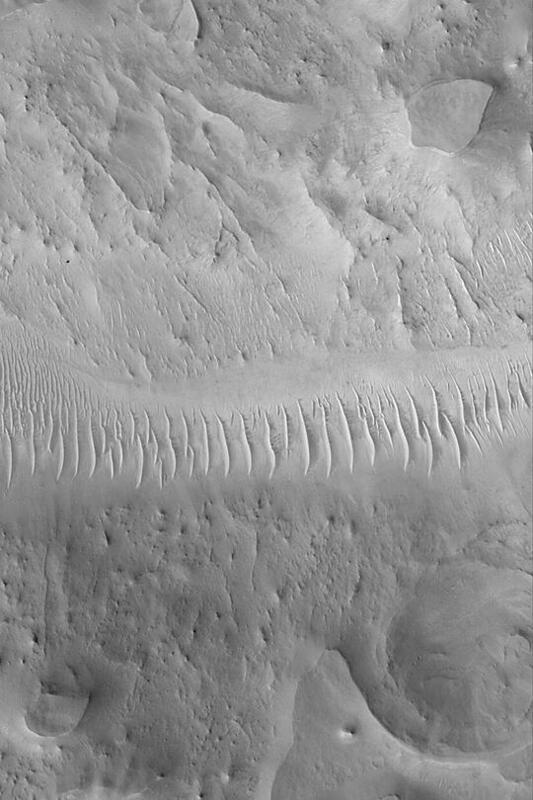 Because erosion has removed hundreds of meters (or more) of material from the terrain surrounding Auqakuh Vallis, the valley today appears to be much shallower and wider than it was when it formed. This Mars Global Surveyor (MGS) Mars Orbiter Camera (MOC) image shows a shallow reach of the valley at its southernmost extent. The valley floor runs east-west (left-right) across the center of this picture. The floor of the valley has several dozen large, windblown ripples on it. 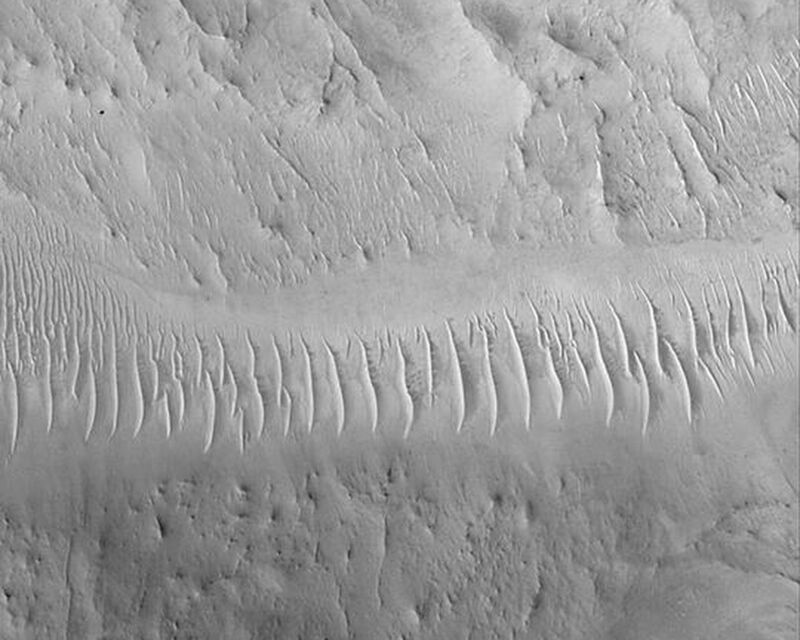 The surrounding terrain has been eroded to form mesas and a few nearly-straight ridges known as dikes. This picture, acquired in July 2003, is located near 27.7°N, 298.0°W. The image covers an area 3 km (1.9 mi) across and is illuminated from the lower left.